There isn’t one particular thing that causes most tire damage. Tire damage can be caused by several things. ER Autocare is Plain City, OH, local tire experts, and we can maintain your tires to avoid damage and ensure you get the miles out of them you should. That’s what we can do for you. Now, what can you do to prevent tire damage? Keep reading. Overinflated or underinflated tires wear down improperly, which damages them. For example, if your tires are overinflated, they become more vulnerable to potholes, wear down irregularly, give you a bumpier ride, and lose their grip on the road. Underinflated tires flex too much, which causes them to overheat. This also wears them down prematurely and could even cause a blowout. Check your tire pressure regularly or stop by and we’ll do it for you. Sorry, we don’t mean to sound like your mom or dad but excessive speed also damages tires. Imagine racing down the street and hitting a pothole. If you were able to slow down before you hit the hole, you’d be able to avoid it or hit it at a much lower velocity. As with underinflated tires, driving too fast overheats your tires, which opens them up to damage and failure. Heat can also deflate properly inflated tires rapidly while you’re driving – not good. Every tire has a load index, and the load index is how much weight the tire can safely handle. If you overload your vehicle beyond your tires’ load index, you run the risk of damaging them. Again, this builds up excessive heat… are you seeing a pattern? Heat is definitely a primary cause of tire damage. To learn how much weight your tires are designed to handle, check the load index number on the side. For example, if your tire size is P195/60R15 87S, you want to pay attention to the last number to determine the load index rating. The number 87 is the load index in this scenario, and this means your vehicle can handle a load of 1,201 pounds. If the number on the side of your tire is 85, it can handle 1,135 pounds. A tire stamped with 86 can withstand 1,168 pounds. You already know how much weight 87 can bear, and 88 can take on 1,235 pounds. Finally, 89 can tackle 1,279 pounds. Finally, failure to maintain your tires with regular rotation, balancing, and alignment will cause unnecessary damage to them as well. 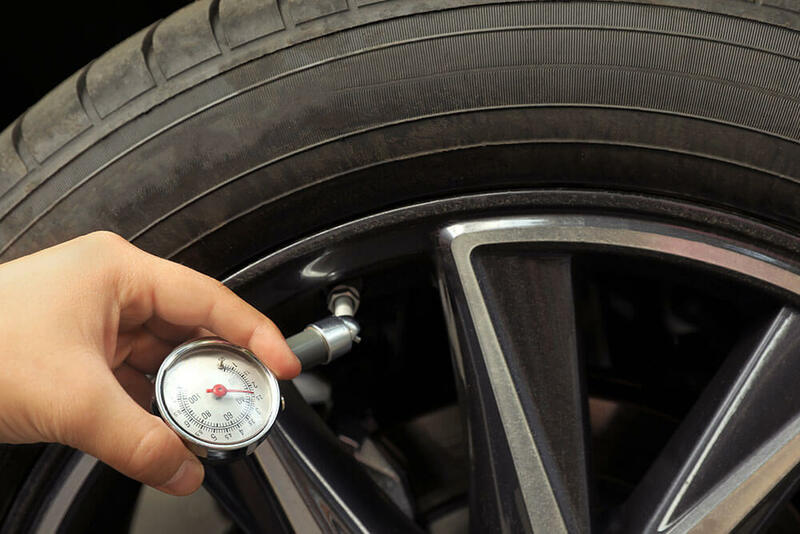 We here at ER Autocare are happy to inspect your tires to make certain they are inflated properly, are wearing down evenly, and have plenty of tread left on them to remain safe. Call us at 614-873-3952 or stop by our Plain City, OH, shop today. Previous Post Do I Have to Go to a Dealer to Maintain My Warranty? Next Post Why Is My Oil Milky Brown?